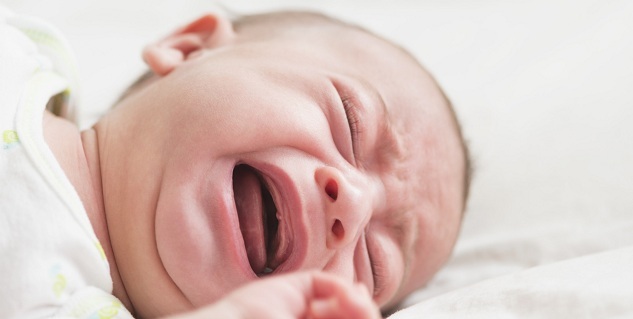 Although it’s very hard for parents to listen to their baby cry in his/her crib during the night but you may be okay with it after knowing that a new study published in the May issue of the journal Pediatrics shows that leaving your little one to ”cry it out” is actually good. No parent can see their little one get stressed over or exhausted due to crying but the study suggests that crying does not affect her/his stress levels, rather it may help them get some more shut-eye over time. According to the researchers, this study could prove to be a boon for sleep-deprived parents as it will give them more insight into the parenting strategies. However, the study was conducted on a small group of higher income and well educated families. They believe that more research needs to be done to see whether the findings apply on the other groups as well. The researchers randomly placed 43 infants between the ages 6-16 months old, who had been having trouble falling and staying asleep at night into 1 of the 3 groups. In one group, parents did not respond to their crying babies immediately but would eventually comfort the baby without picking him or her up or turning on the lights. If the baby cried again, the parents would wait a little longer before they went ahead to comfort the baby and so on until the baby fell asleep. While in the second group, the parents were asked to try bedtime fading, which meant that if the babies had trouble falling asleep the night before, parents would put them to sleep later the next night. But the parents still comforted the child at night. On the other hand, the third group of the parents acted as the control group where parents simply provided with educational information about sleep strategies for babies and no specific instructions. The first two methods are controversial, because letting a baby cry can be very stressful for both babies and may increase their levels of the stress hormone cortisol. The researchers analyzed the cortisol levels of the babies using cotton swabs of their salvia to measure the stress levels. The samples were collected in the mornings and afternoons. As per the findings of the research, within 3 months, 14 babies from the first group, who were left to cry and 15 babies from the second group, the ones who were put to bed later the following night, started falling asleep faster at night compared to those in the third group(control group). Besides, babies from the first group woke fewer times during the night than the babies in the control group. The results also showed that the afternoon cortisol levels in the babies in the two sleeping intervention groups dropped more over time than those of the babies in the control group, hinting that they were less stressed. According to the researchers these methods might have worked because the babies learned to soothe themselves, they stopped crying and went to sleep. One year after the intervention started, the mothers assessed their kids for any emotional or behavioral problems. They were happy to find that there were no signs of behavioral and emotional temperaments in their kids. The study also showed improved moods in the mothers over time in all the three groups, but this improvement was found to be strong for those in the bedtime-fading group. Why do Children Cry in their Sleep?